Hello, tokusatsu community! 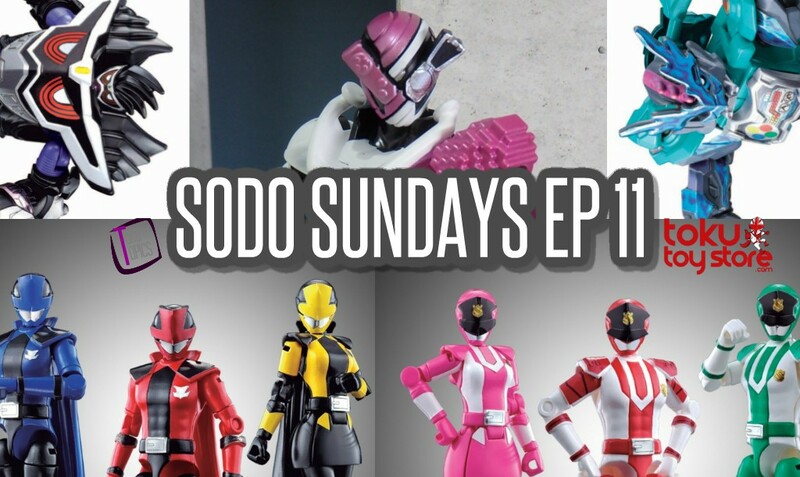 Joshua Perry here to talk about SODO figures on my biweekly series, SODO Sundays. This time is the longest one yet with news from Kamen Rider, Super Sentai, and Ultraman. Usually, Ganbarizing exclusive Kamen Rider forms never get any sort of figure but Build has changed that with the reveal of the DoctorGame form in Set 6! This figure, formed with the Full Bottles based on Kamen Rider Ex-Aid. In the movie Heisei Generations FINAL, these bottles were used to make Build into Ex-Aid with a Build Driver, that is something that is shown to be possible with the use of the Ex-Aid figure from last year. With this figure being revealed it could be possible for other Ganbarizing forms to be made into figures. Also included are the Guardians’ weapons and stands. For you to be able to make each version you will have to buy multiples. In March the Kamen Rider Ex-Aid: Another Ending trilogy will be released. New forms were revealed for this trilogy so the SODO Ex-Aid line has made a return to feature them. Kamen Rider Genm God Maximum Gamer Lv Billion and Kamen Rider Lazer X will be released in April alongside Build Set 8. It’s unknown if this means they will be part of Build Set 8 or just released on their own. As revealed a while ago Lupin Red and PatorenIchigo were revealed for the YUDO line. This time it has been confirmed that the whole teams of both Lupinranger and Patoranger will be released. These figures will come with all their weapons and small versions of their mecha for them. To address the complaints about the Kyuranger YUDO figures, Bandai has made these figures less sticker dependant and made the joints stronger and closer to the SODO figures. The next set of SHODO VS has been revealed including Ultraman 80, Belial, Zero, and the evil Zero Ultra: Darklops Zero. Also included are some building effects and weapons. That’s it for this special edition of SODO Sundays! The next edition will release on February 11th on both Toku Toy Store News and YouTube channel. For constant updates on the SODO/SHODO line, go check out the @SODOFountain Twitter page.